The Washington State flower is the rododendron. It should be moss. It grows on everything: on cars, sidewalks, fences, everywhere. In the Northwest, if it ain’t moving, it’s got moss growing on it. 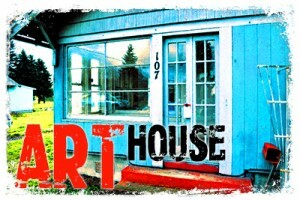 It was no different for the Art House, which had a thick carpet of green moss covering the entire western exposure of the roof. Shaded by the canopy of a large cedar tree, it was 6 inches deep in places with ferns and grass sprouting from the rotting eaves. 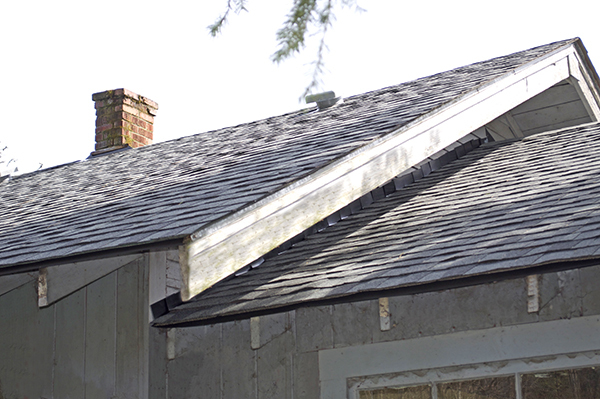 Somehow, the original 100-year old wooden gutters still clung to the roof framing, although they no longer served their original purpose. They had become a hanging garden. 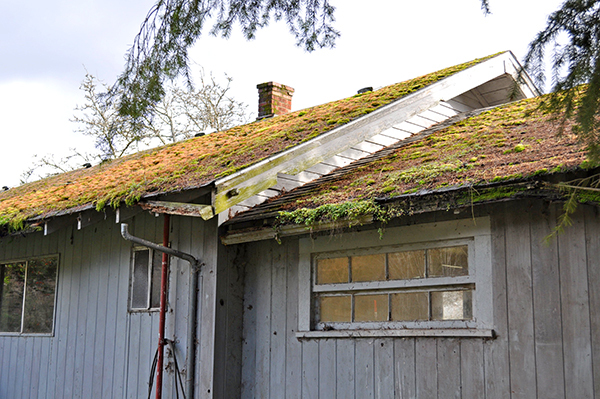 The moss had been growing on the roof for years; once it was removed, it took 7 sheets of plywood to repair the damage. This was not a job I wanted to tackle on my own. At 1500 square feet, it required tear off of the old shingles and moss, repair of the roof deck, removal and restoration of the flashing around chimneys and under the roof hang, not to mention hauling away the thousands of pounds of water-soaked debris. Nope. Not me. I called around for competitive quotes and finally settled on A-1 Roofing, Inc., a family owned local roofing company in business for 40 years with excellent ratings from the BBB. I was impressed by Jason’s quick response on the phone after I submitted an online request for an estimate. As the foreman for his crew, he was professional, efficient, and offered a “seasonal discount” (because of the slow, off-season work schedule) plus an upgraded “moss resistant” shingle. After signing the contract, he was out to the house within four days. His crew banged out the job in one day. They cleaned up every last scrap after finishing; you couldn’t even tell they had been there, other than the beautiful new roof. I’m very happy with the results. On to the next project!